Tanmoy Roy Blog: How to understand a great cricketer (and why Kallis is weird)? 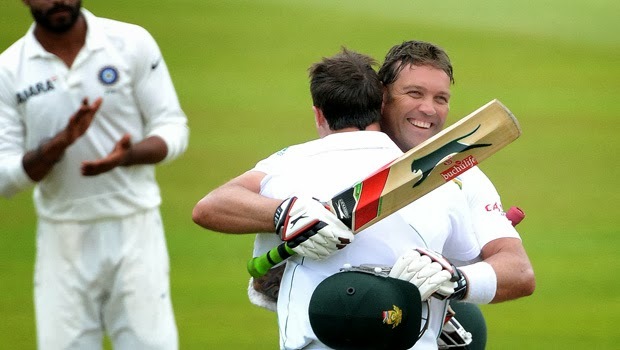 How to understand a great cricketer (and why Kallis is weird)? The world has produced lots of men and women (and animals and trees). Out of all those life forms, some of them are what we call - great. For example, the sight of a disinterested, carefree, self possessed polar bear on a bright sunny day - is great. In the same fashion, it is awesome to see great cricketers weave their magic. On the occasion of Kallis's retirement, I think it is important to spend a little bit of time first trying to find a good way to understand the greatness (especially with respect to cricketers). And then figure out where Kallis fits into all that. There are of course reasonable, normal and plausible statistical ways to express their greatness. But who cares about that? Right? Lets try to do this a bit differently. While these Sons of Gods do their craft or toy with laws of physics or decimate poor mortals - it has a unique effect on us, the fans. That, I think, is a good place to start. Lets consider a Tendulkar cover drive on a delivery turning away from him. Doesn't it feel like the perfect lemon meringue pie? The less anyone on the field moves (trying/bothering to stop the ball), the better the pie tastes. What about Warne spinning satan-ish hell around an otherwise respectable batsman? That has to invoke very specific emotions. No true fan can stay calm after a thumping Lara square cut (or a Ganguly drive for belligerent Bengalis) on a perfectly good ball. It might feel like the perfect smell of coffee on a cold morning or a spectacular white horse riding on a particularly fluffy cloud. My wife, I am sure, has stopped reading by now. She thinks I have a habit of giving unnecessary examples that no one understands. Duh! The measure of a cricketer's greatness can also be directly proportional to the amount of impolite, silly, giddy-full behavior the fans put out after a watching a moment of cricketing genius. So, for example, if a Wasim Akram yorker forced to you make bang your fists on the desk in front of you - he is great. If a Viv Richards six made you turn the blades of a ceiling fan to make it look like a flower (which I have seen happening) - he is greater. If someone makes you lose it completely so that you start running and screaming like a 5 year old - he is the greatest. So now that we have arrived at these totally practical methods of understanding greatness of great cricketers, I ask you this - where does Kallis fit? How many times did you make a fool of yourself when he was batting? Not too many times, I bet. How many times have you read books, articles, seen movies/shows about him? How many times have you heard experts fighting for him in sports shows? Again, not a lot right? The tiny bit of hoopla that we have seen in the last week, is only after he announced his retirement. That excitement is sort of like a "tribute" excitement. Why didn't we get excited when he was piling on these runs and wickets? Why do we like talking about the Kevin Pietersons of the world even though, Kallis' of the world achieve greater things? Who is weird here? Us or Kallis? I will go with Kallis. The reason we didn't celebrate Kalli's greatness when it was happening, because he is weird. And we are normal. Its like trying to appreciate a great swimmer who also plays great tennis? Does that even make sense? People are not supposed to be like that. How does one stay fit enough to play 325 ODIs and 166 Tests with the stress of leading both the batting and bowling? It is abnormal to score almost 25,000 international runs and simultaneously have the energy/willingness (which is beyond talent) to take 550 wickets? How many fast bowlers can claim to bowl more than 5000 international overs and spend their break time in the slips taking more than 300 catches? You know who those many catches or more - wicket-keepers and batsmen. Because they have have nothing better to do but to wait for catches all day. Seriously, Kallis is weird. When you compare Kallis with people worthy of comparison, no one comes close. Tendulkar or Warne do not fit. Botham fits. While he came close in terms of wickets, he scored 70% fewer runs. Kapil Dev took more wickets but he scored 64% fewer runs. Hadlee took more wickets but his batting is not much compared to Kallis. Same goes for Pollock, Vettori, Imran Khan, Wasim Akram, Flintoff, Jayasurya, Cairns, Shastri and other bits and pieces all-rounders (Vaas, Hooper, Afridi?). Of course it is not just about total numbers because the number of played matches vary (and also factors like who wins matches, who performs under pressure etc.). But anyway you look at it, you will have to agree that almost all the all-rounders were either bowlers who could bat or batsmen who could bowl - with just two exceptions. Kallis and Sobers. They are they only "complete" cricketers we know. Both were exceptional batsmen who could bowl really well. Sobers played fewer matches and only played test cricket, but he scored fabulous 8000 runs at an average of 57 and took 235 wickets at an average of 34. No one knows what would have happened if he took his body through the pressure of playing 300+ ODIs along with the test matches. It is not proper to compare on hypothetical scenarios but just based on common sense, it seems Kallis is more "weird" than Sobers. 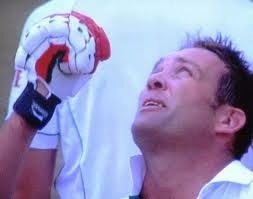 I think we owe Kallis and the game of cricket an apology. We the pinhead fans didn't understand him. It's his fault of course. We are normal and he is the weird one. We could still try to make up by tweeting #sorrykallis along with #thankyoukallis. #InterestingFact: Among the top 20 run-getters in Test Cricket, Sangakkara is the only batsman who has a higher average than Kallis. We ignore him as well, right? Brilliant!